Luke Kramer, Kansas Wildlife, Parks & Tourism, Jeremy Hacker, Key Banker, Kansas Banker’s Association, Doug Smith, 2018 Wildlife Habitat Award Winner, Liam Smith, and Tyler Husa, Crop Production Extension Agent with the River Valley Extension District. The 2018 Cloud County Conservation District’s Annual Meeting was held at the Our Lady of Perpetual Help Catholic Parish Hall in Concordia, Kansas on February 7, 2019. The meal of baked steak, mashed potatoes and gravy, green beans, salad and cobbler was be catered by the Ladies of the Catholic Church and served by the ladies. Following the business meeting in which Keevan Portenier, current member of the Board of Supervisor, was to re-elected to serve on the board for another three (3) year term, the winners of the 2019 Conservation District Poster Contest was announced and the 2018 Wildlife Habitat Award Winner was announced. This year’s Wildlife Habitat Award winner is Doug Smith. 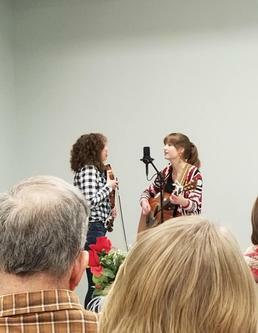 Following the meeting, the crowd was entertained by The McKinney Sisters out of Moundridge, Kansas. 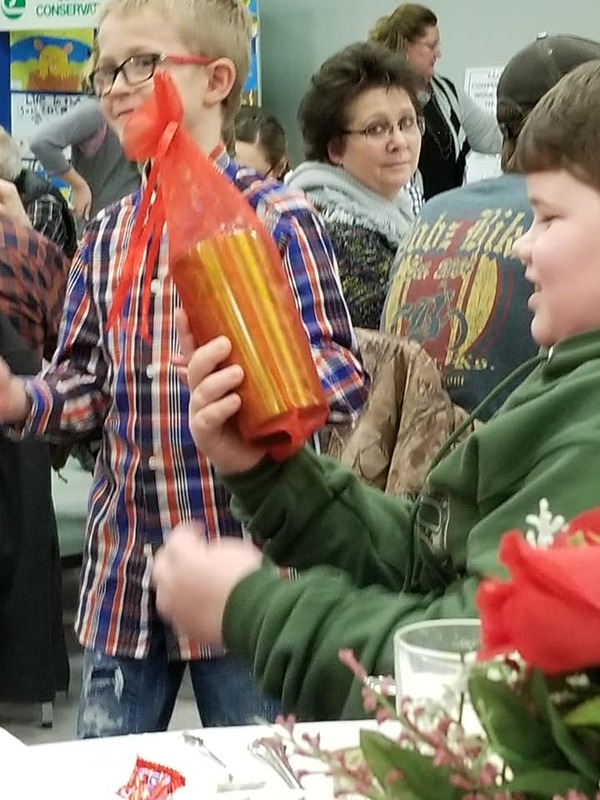 A big Thank You to everyone who cooked and served the meal as well as the businesses that contributed the door prizes and the local area banks for sponsoring the meal.